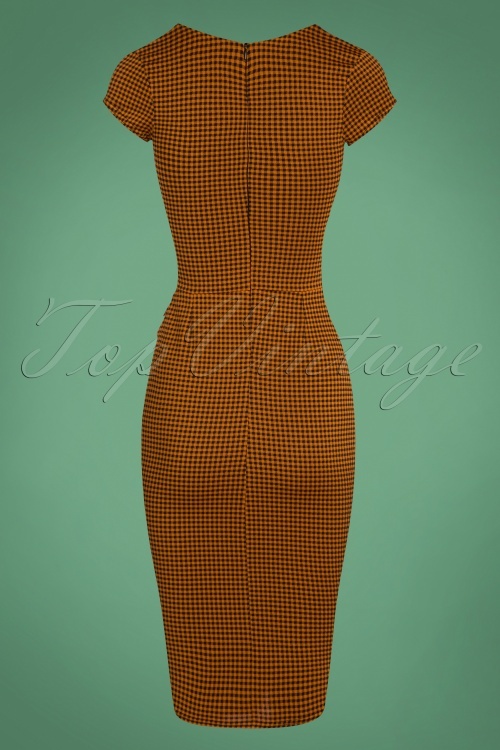 This 50s Laila Gingham Pencil Dress in Amber has everything you could ask for in a dress! Looking for the perfect dress? 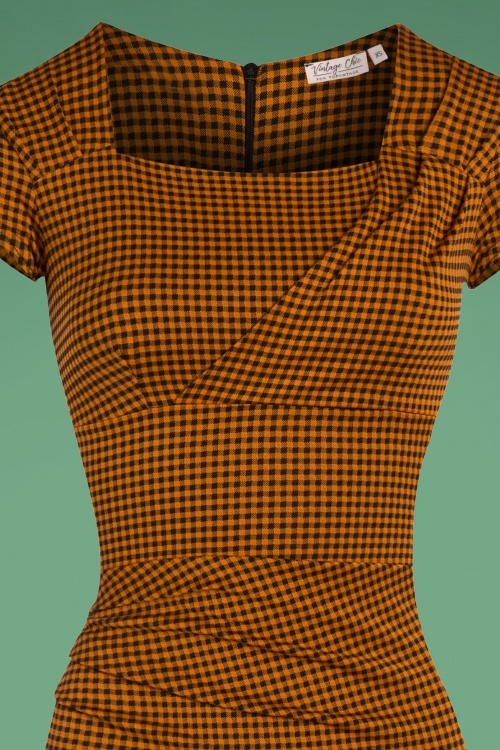 Check... gingham check that is! It's not only the adorable gingham print that steals the spotlight. This dreamy dress hugs your curves perfectly, showing off your beautiful figure for all to admire! The stunning pleated detailing on the square neckline and hips gives her an elegant look and at the same time it also creates a super flattering shape. 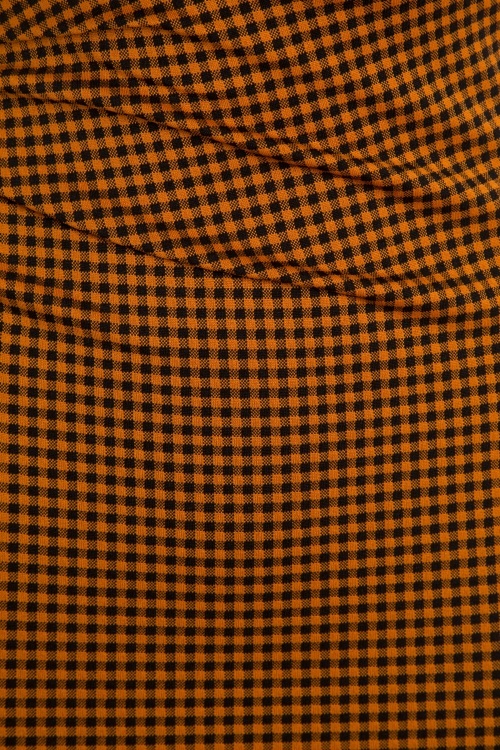 Made of a stretchy amber fabric that is a joy to wear. 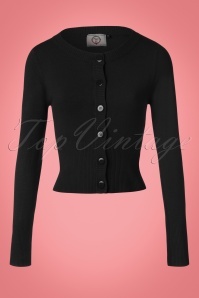 Match with black and channel your inner diva! Robe superbe conforme à la photo jolie couleur. Légère elle est confortable très légèrement grande mais ducoup je suis à l'aise dedans. Zaterdag deze jurk mogen ontvangen en wat staat dit schatje fantastisch! Mooie stof, niet te dun of te dik. En als je curves hebt dames en is deze perfect! 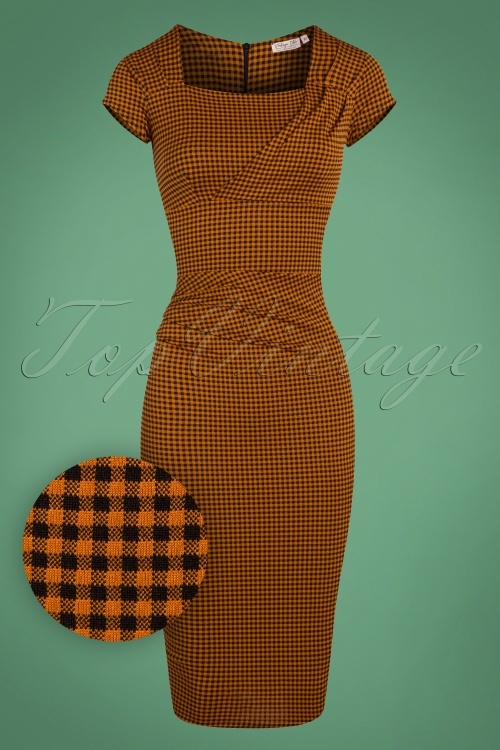 really nice dress, falling perfectly and really made for women with curves. Fabric is stretchy enough and confortable. The color is amazing. I really love it.